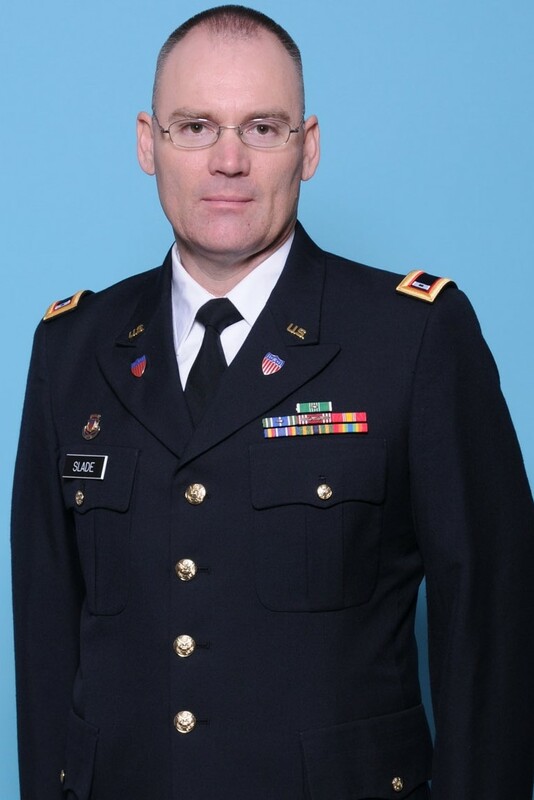 ROBERT SLADE, bass trombone, is the Commander/Conductor of the 208thArmy Band in Concord, NC and band director at Camden Military Academy. Prior to joining the 208thArmy Band, Robert served as trombonist in the Army Ground Forces Band at Ft. McPherson, GA and the 82ndAirborne Division Band at Ft. Bragg, NC. Robert has performed with many orchestras including the Charlotte Symphony, Atlanta Symphony, Charleston Symphony, North Charleston Pops, Augusta Symphony, South Carolina Philharmonic, Fayetteville Symphony, Dayton Philharmonic, West Virginia Symphony, and Kentucky Symphony, among others. As a teacher, Slade served as the low brass instructor at South Carolina State University and Methodist University and as a band director at Bates Middle School and Sumter High School in Sumter, SC. Robert received the Bachelors of Music Degree from the University of South Carolina and the Master of Music Degree from the College-Conservatory of Music at the University of Cincinnati. Robert lives in Camden, SC with his wife and two children and regularly performs as a Revolutionary War musician.